Entering print competition can be one of the best forms of photography education. All phases of the process can change how you think about your work. Drawing upon their combined experiences as entrants, judges, and printmakers, Michael and Tina will discuss: the benefits of entering, how to select the right image, how to manipulate and present the image, and the criteria judges use to evaluate the image. Michael has served on the Photographic Exhibitions Committee and is also a Jury Chairman. You will explore your availability to go “Beyond the Image” using digital technology. Image capture is just the beginning; it’s what happens next that separates average pictures into award winning images. During this program prepare to become inspired to a new level of excitement. The technical aspects of photography will be discussed, but be aware that it will not stop there. Creating award winning images is not just happen-stance; they require thought, creativity, and planning. So bring an open mind, heart and soul, and you will be taken into a world that can be rewarding, both personally and financially. The image is one thing, but what is beyond the image is truly amazing….. In today’s economy it is important to diversify your portrait business to be the most profitable. Tina and Michael will show you how to photograph, manipulate, market, and sell, “customizable” images as Fine Art Interior Décor. Every home and business is an opportunity; each has a need for imagery to be used as décor. Subject matter is unlimited. In this fast paced, high energy program, all secrets will be shared! These success stories, in addition to the pitfalls that starting a new endeavor can create, will hopefully save others much time and effort. Together Michael and Tina have embarked on a journey that has brought many rewards, awards, and accolades from around the world. In addition to financial gain neither had anticipated, just by using their already honed photography skills from years of portrait experience. We all have the skills and talent to add this new product line, we sometimes just need a little nudge to do something different. The beauty is….. Each photographer will find and offer his or her own unique style with these easy techniques. We encourage you to enjoy……. As you decide to attend this program remember that we are all unique human beings; a product of our combined life experiences. We are all born creative; some people just seem to be more artistic than others, able to open their minds to a more complete creative process. 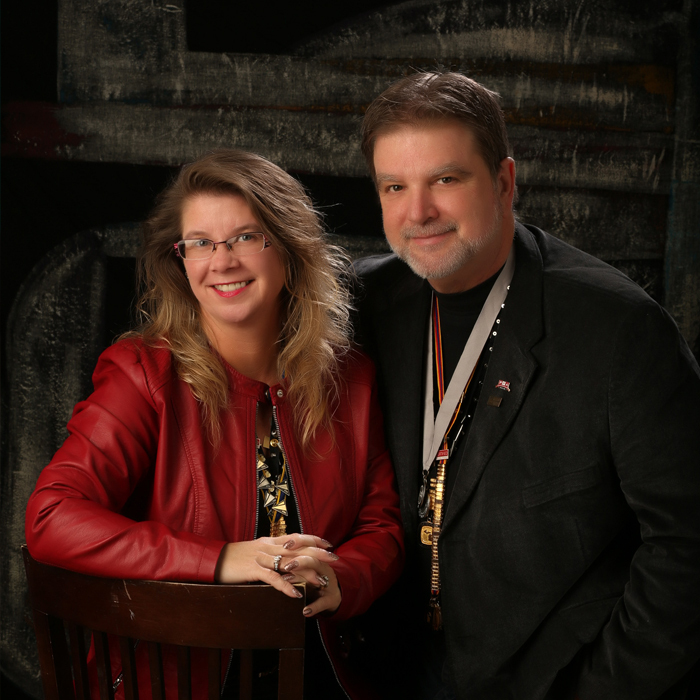 Join Michael and Tina to unlock your hidden talents. Using audio and visual presentations we will share with you easy steps to help you re-connect with your inner child and re-establish a creative connection. This high energy program will be unlike anything you have ever experienced before, and could change your life, both in and out of photography. Bring an open mind and be included in the must see program of the year.